My mom used to make almost anything that was ground up into a fried delicious patty, which she called kokletin (yiddish). 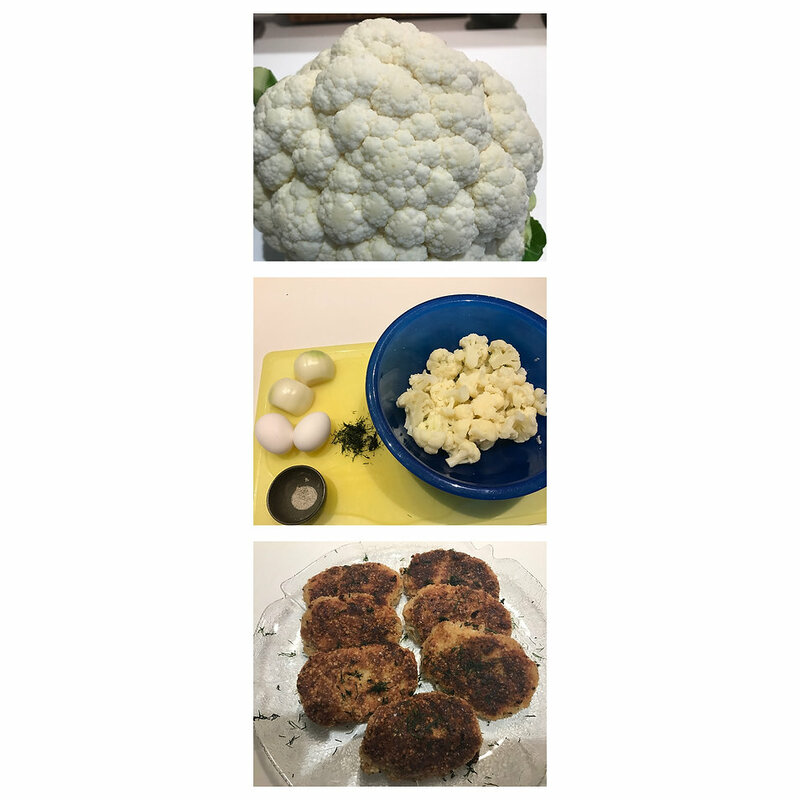 The three types she would make most often were with ground beef: canned salmon: and cooked cauliflower, way before cauliflower was trendy!!! They were always served with mashed potatoes and a variety of canned vegetables whatever was in the cupboard …no pantry in our house! I am making the cauliflower Kokletin as a side for fish tonight, though it would be our entire meal when I was growing up! 8. Fry in the hot oil letting the first side get brown before turning over. Once both sides are brown I put the patties on their side and brown the edges. (they have to lean against one another otherwise they don’t stay on their side ) Add more oil as needed .